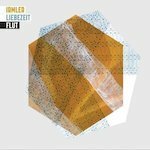 Jochen Irmler and Jaki Liebezeit bring something truly imaginative and well played out here; and I wouldn’t expect anything less with Irmler (formerly of Krautrock legends Faust), providing a barrage of intense synth, blasting its way through the repetitive percussive elements brought at the hand of Liebezeit. Opener ‘Amalgam’ is tremendously pretentious, but it needs to be. There are some furious moments among the opener where everything grinds into a raging industrial pulsating beast that had me nodding my head with a grin on my face. The obscure Jazz of ‘Golden Skin’ left me a trifle cold, but all was forgiven come ‘Ein Perfektes Paar’ which steers its way through a distorted mass of pads, just steering clear enough of 70’s psychedelia for me to enjoy it (only just however). There is a lot about ‘Flut’ I shouldn’t actually like. I despise bands like Tangerine Dream and the like and if truth-be-told some of this reminds me of their output. However, there is a raw gritty edge and a warmth to the album that I appreciated immensely over the course of the release. Overall, whilst there is nothing altogether ground breaking about this collaboration, there is much to enjoy over the course of 46 minutes; and after a day of sifting through some releases that required no skill whatsoever to complete, this was gratefully received. This entry was posted in Dense Promotion, Klangbad. Bookmark the permalink.